As a journalism teacher, you think I'd be all about nonfiction. As a college student, I found a way to "make money" by writing -- and all that writing was about real life. My training in writing was figuring out ways to incorporate the details through observation, the emotions through quotes, and the facts by weaving them together in something called "literature in a hurry." Now, as a journalism teacher, instead of worrying about writing my next piece of nonfiction, I drive my minions to write it. I read nonfiction daily. Albeit, amateur nonfiction -- that of science classes, clubs and cheerleading, all to be found in the school yearbook or student-produced magazine. No fake news in my journalism classroom, thankyouverymuch. The only times the words "fake news" make their rounds is when I want to get 36 adolescents' attentions. And the room becomes silent. So silent, that you can hear the quiet eerp of the fart that one girl over there was trying to sequester. While I spend my days reading through words and words of student-produced nonfiction, I often find solace in fiction. For a nonfiction tome to hold my attention, it needs to be bizarre. My granddaddy would turn over in his grave. While he never truly fought in World War II, the man couldn't get enough of that time. He ingested books and books and books about the topic. He lived through it, worked through it, and couldn't stop reading about it. His grandson, that being me, would much rather read about strange religions, like Scientology, or books on how people were poisoned. Which brings me to my second nonfiction book I've picked up out of pure curiosity. 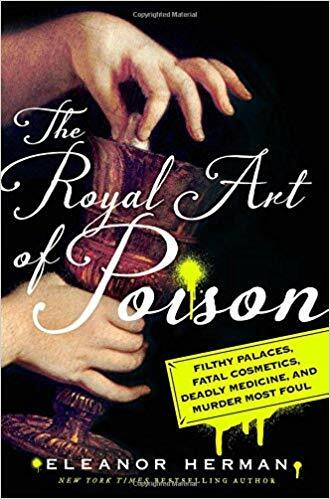 "The Royal Art of Poison" by Eleanor Herman was a mix of history, relentless details of the grotesque, CSI-inspired writings about how many famous people died (was it poison? ), and disturbing modern descriptions of what Russia has been up to. The first part of the book, pretty much the first 200 pages, were my absolute favorite. Any wistful dream about living in a castle, royally, has been washed away because of this book. Castles were so narsty, time traveling ala "Outlander" would cause any modern individual to cut out their nose and stuff the remaining hole with straw. Living, bejeweled, ornate and important was not like our Barbie and Ken dreams. Barbie was too busy smearing arsenic, lead or mercury on her face and hair to be pretty (and you think today's makeup is poisonous), while Ken was too lazy to use the chamber pot and urinated in the hallways. 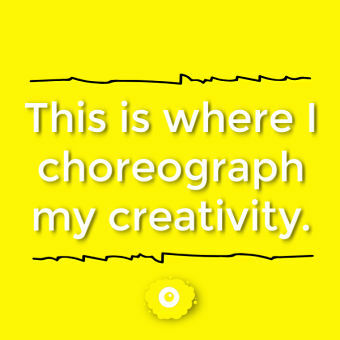 And not just Ken, either. All his friends were drinking far too much, and instead of excusing themselves to go behind the curtain over there to use the dining room chamber pot, they spewed deluge after deluge of pee into every orifice of the castle. I slipped in pee once in elementary school and had to sit half-cheek on my chair the rest of the day because I didn't want to spread the greasy wet on anything else. Why I didn't ask to call home and get a change of clothes mystifies me, but I guess it's all part of building grit. Regardless of the grit, I can only imagine what it'd be like to walk down flights and flights of stairs soaked in man's...um...essence. It wasn't just poison killing off these fine folks, they died because of how they lived. I used to think feasts were a fantastic reason to travel back in time. Large rooms. Even larger tables. Surrounded by all the who's who in whatever time we're in, while served in the succulent glow of alabaster candlelight. Roasted beast mixed with medieval wine. It's all so intoxicating until you realize how toxic it all was. A person of importance didn't seem to enjoy their food ever. The anxiety of being poisoned so ruined their ability to nosh that they took all the precautions before any food entered their mouth. Servants surrounded a royal with one sole job: test everything to detect poison. Taste the food. Lick the napkin. Lick the utensils. Taste the wine. It was all so very extra. As an important king or ruler, I would've been served mashed-up-lukewarm-food. I would wipe my mouth with wet napkins. I would use gold-and-silver-laced (deadly) utensils that were already in some servant's dirty mouth. Then, when I fell ill a few days later, it was because I was poisoned! Guards! Find the man that poisoned me! He shall hangeth until all the air has been sucked out of yonder bosom. Herman explains how the true poison back then was usually bacteria and germs -- and while this makes total sense to someone of our modern time -- it still remains fascinating. Especially when it really was poison that killed off someone important. With the mix of details, gore, history, and fluid writing (with a hint of wit), the information and ick-factor of life during those previous centuries made learning fascinating. Poison and disease is serious business, but this book made it seriously interesting.